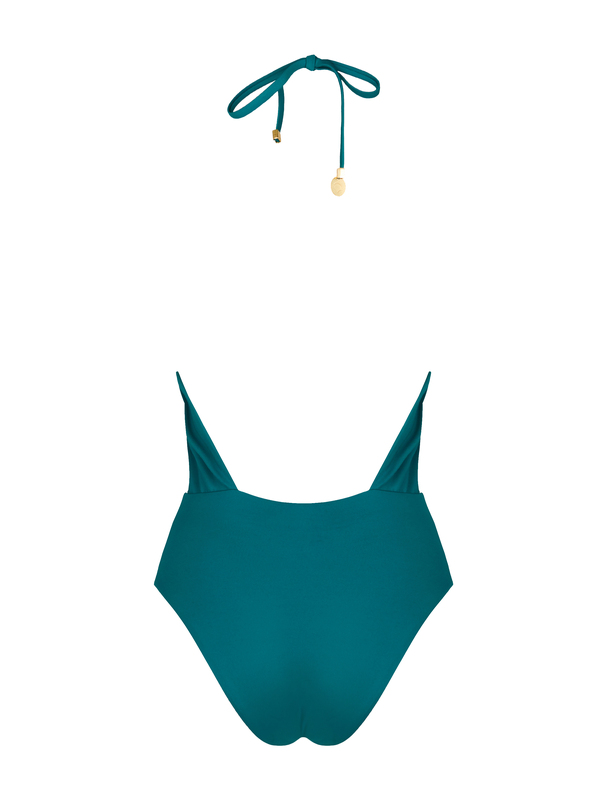 Cockatoo one piece in Biscay Bay is the swimsuit that offers the best of both elegance and fun. Between its classic character and the deep V-shape that plunging elegantly, classicism and thirst for adventure are perfectly balanced. Inspired by the tropical life, embroidery details give tension with their vibrant colour combination. Cockatoo is the swimsuit that you can easily wear day n night and you will draw all the attention.